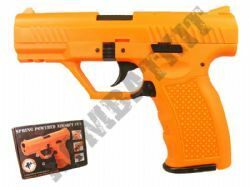 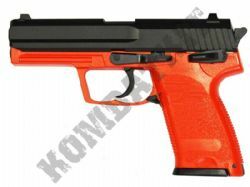 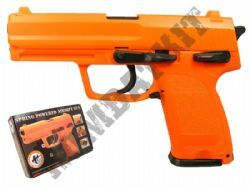 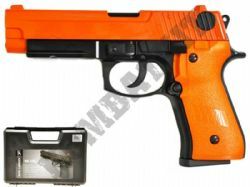 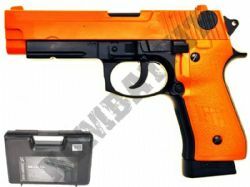 We sell Airsoft handguns, BB pistols & revolvers, in UK legal orange & black two tone colours. 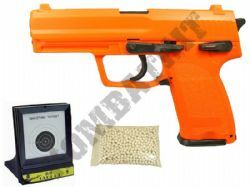 We stock 6mm BB pellet firing spring, electric AEP & CO2 powered or gas BB guns. 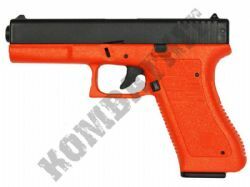 We offer Glock, Colt & Sig Sauer styled replica gun models. 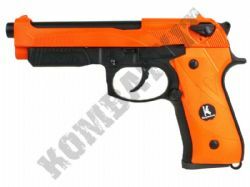 Our legal coloured 2 tone black orange spring powered BB handguns are great starter guns, being cheap to buy, inexpensive to run and easy to operate. 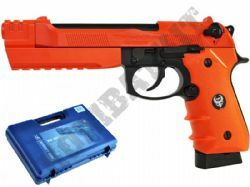 Our electric airsoft guns or AEPs are great fun as you do not need to keep reloading a spring trigger. 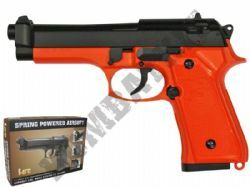 CO2 airsoft or green gas bb guns are recommended Skirmish players or for the more experienced or demanding shooter, as they normally will have a great velocity, longer range, velocity and higher FPS, and in gas bb guns we stock full blowback models with recoil. 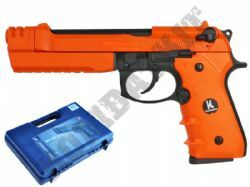 We stock a full range 6mm airsoft bb handguns, from compact hand guns up to full metal extended barrel desert eagle styled guns, all available from stock with fast dispatch and free UK mainland delivery (T&Cs apply).